From time to time, I had invited to visit some factories in difference country. Today, we are going to talk about Guangzhou JYX factory. Hope with this simple briefing, our reader could gain some understanding about the company of Guangzhou JYX. Guangzhou JYX currently is supplying the base, chassis, bracket mounting for ASHRAE industry. They also provide AHU design too. Business Nature: Machinery manufacturing, welding, Air Handling Unit Design and Manufacturing. 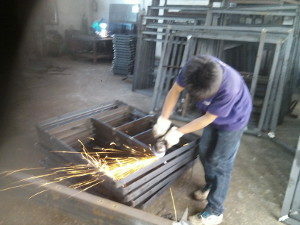 Guangzhou JYX was started-up since year 2012 with only welding ability. I did visited the company while they just a few months old. During my first visited, they were introducing their tools, setup, processes as well as some quality issue to me with a frankly manner. I did share with them about my experience especially from a professional manager stand point. 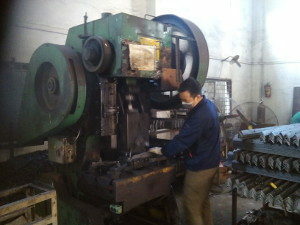 Guangzhou JYX equipped with basic machinery such as sawing, lathe, milling, bending, stamping and welding machine. Currently they are the appointed manufacturer for tooling, bracket, chassis and structure base. Most of their customers are related to Air Cond industry and currently they are working with other customer from various industries. Since year 2015, Guangzhou JYX has setup a design department. I am very impressive about the software tools they use such as Autocad and Pro-E. With the design ability, Guangzhou JYX has re-drawing all the engineering drawing for all the parts and product they currently produce. 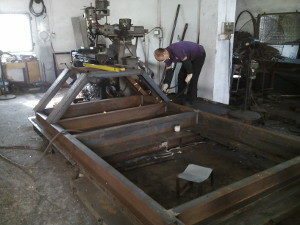 They also standardize the components and process so that all the WIP is properly manufacture and achieve standard. Guangzhou JYX also engages with AHU design centre providing design services for them. They had designed several series of AHU (Air Handling Unit), they are very proud as their design has been adopted by the market even not branded as JYX. Apart from the ASHRAE industry, JYX also working with lorry transport industry to provide standardize components for their maintenance job. I can easily recognize Guangzhou JYX has shown significant improvement since they start up in Year 2011. They have improved their manufacturing ability, process setup as well as the talent to broaden up the commitment in ASHRAE industry. After my visit, they had invited me to re-visit them next year to further visualize their latest status. This entry was posted in Factory Visit, Trip. Tags: ASHRAE Industry, Factory Visit, GuangzhouJYX.